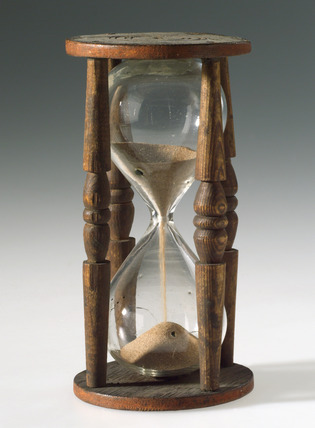 "Wooden, 55 second sand glass from the second half of the 18th century. Sand glasses were made to measure out a specific length of time. They were used at sea to time a ship's 'watch', or to calculate the ship's speed." "Trial piece for Babbage's Difference Engine No 2, 1985-91."